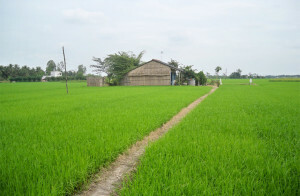 Verdant terrain of non-touristy Ben Tre Island is teeming with fruit orchards, waterways, rustic villages and rolling rice fields. Situated close to Ho Chi Minh City this leisurely excursion is one of the best Mekong delta tours – take a boat trip up the Mekong passing river craft and local cottage industries on route, before weaving along lovely country lanes by motor cart passing through coconut groves and villages. 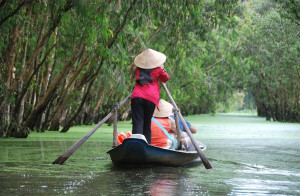 At 08:00 am depart from the hustle and bustle of Ho Chi Minh City for Mekong delta day tour in the area referred locally as ‘the rice bowl of Vietnam’ to discover Mekong Delta local life. After two hours for driving we will reach Ben Tre City, then take the boat to contemplate Mekong River. Stop over at brick-kilns to see hand making bricks process will be the first highlight of this Mekong delta day trip. With large of clay resources around Mekong Delta and full of natural fuel such as rice husk, char coal and mud coal, local people have fulfilled demand of bricks in constructions. Slowly keep boating to green and quite canal to enjoy peaceful atmosphere of countryside in Mekong Delta – Great frame to photograph of local daily activities on the land and water: coconut produce’s process, fishing, and farming. Stop over to try and see how to make coconut candy – a favorite treat of southerners, closely followed by banana candy. The two traditional candies originated in Ben Tre. Back to the boat to Cai Sơn and Nhơn Thạnh creeks then short walk on the village’s road to visit the village, where is widely known for its long-standing sedge mat-making craft. These beautifully-colored mats are used for sleeping on. Getting to different experience by taking local transport like bike or motor cart (local named “Xe lôi”) to cross rice fields and vegetable plantation then stop at local ecological restaurant for lunch. After having delicious lunch featuring such local specialities as elephant-ear fish and river shrimp at a local family/homestay, take another short walk to boat station for rowing-boat along water-coconut creek. Ge back to big boat waiting at the other side of Cái Cối creek, back to originally boat station, end of the river tour then drive back to Saigon (Approx 4:30 pm) where the hideaway Mekong delta ben tre island day tour ends. Thanks to our excellent guide Truc and his driver Hung for a truly magical day trip from Saigon to the Mekong Delta. As arranged, we were picked up at our hotel lobby (in District 1, Saigon) at 8:00am in a private, air conditioned car. They clearly got there earlier! The drive down to Ben Tre seemed to fly by. Truc giving a lovely commentary and good chat. There is a purpose-built rest area between Saigon and Ben Tre where you can buy refreshments, visit a shop, and look at their picturesque gardens. Use of the WC is free. We first visited a local factory manufacturing bricks in a traditional method. Then onto a boat where we were offered a complimentary coconut to drink en-route to a shop making coconut candy. Here we sampled many local fruits with our guide. There is a basic WC here. We were then offered a choice of transport to get to the next stop at a blanket-weaving factory; tuk tuk or bicycle. We chose to cycle and I would strongly recommend it to those who are able, and if it is not a scorching hot day. The ride along local roads was very special. After a short visit we then cycled to the restaurant. We enjoyed a banquet including elephant ear fish, in a beautiful setting at a private table. There is a WC here, too. After lunch we boarded a sampan to take a majestic journey down one of the smaller, picturesque rivers; then transferred to a larger boat again back to Ben Tre. 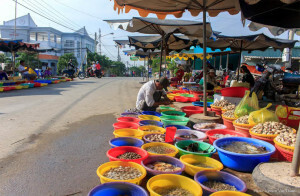 After a short visit to the local market we then rejoined the car back to Saigon, with a short rest-stop again at the previous location. We returned to our hotel at around 3:30pm. Two bottles of water each are included, including all food and samples (excluding drinks with your meal, if you want them). I would strongly recommend taking a couple of extra bottles of water with you. However there are ample opportunities to buy more. Some people might be put off these tours because there are visits to shops, etc. However I can assure you that there is absolutely no pressure selling and no expectations to purchase. The hospitality is wonderful. In my opinion, this is one of the best experiences I have ever had travelling. The mix of beautiful surroundings, fabulous food, mixing with lovely people and learning more about Vietnam and Vietnamese culture made for a perfect day. 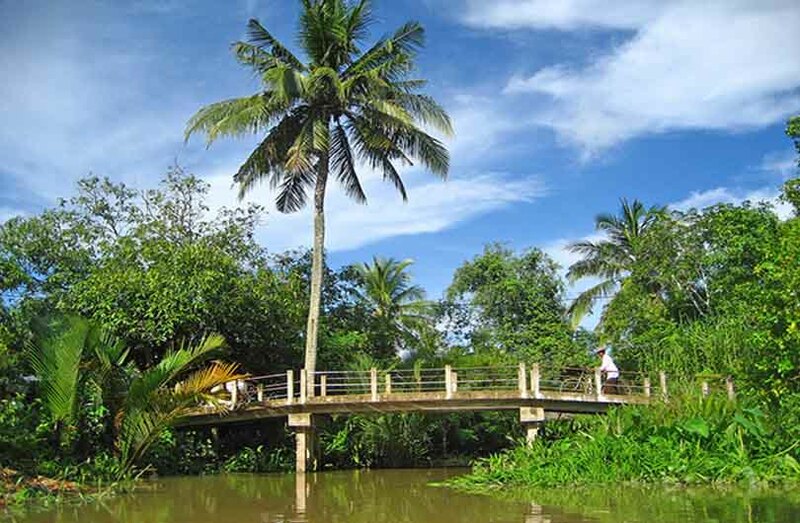 A visit to the Mekong Delta is something not to miss. Excellent day trip to Mekong delta region. Our group was a small group consisting of 8 people picked up from Novotel, Saigon (Random guests who became acquainted after a while). Our guide Mr. Huey made all the difference who was very friendly, informative and provided with useful information on the areas and activities that we partook during the day trip. Our trip started with pick up from hotel and continued as per their schedule with required breaks where necessary. We did not feel pressured to run around to keep up the schedule. It felt like a private tour with all the flexibility one can expect. A must to see and experience if you are in Saigon and planning for a Mekong delta day trip. Overall, it was fantastic experience and I highly recommend Detoured Asia for their professional conduct and friendly approach in carrying out the entire day’s activities. I signed up for a day tour experience at Mekong via Detoured Asia and I had the best experience. My tour guide’s name is Huey and he was very knowledgeable and accommodating. 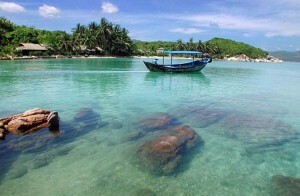 He is a good tour guide to book with on your next travel to Mekong. I learned a lot about locals and their way of living. 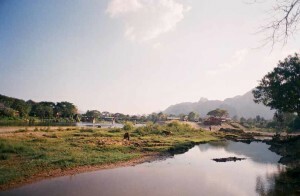 Mekong in general is quiet, simple, very safe and it’s beautiful to see how Vietnamese culture are preservered and I have a good appreciation of Vietnamese hospitality. In this place, you will get a taste of how locals are living on a day to day basis and a good appreciation of Vietnamese culture. People are nice, polite and are always smiling. The whole trip with this tour company was smooth and the service was excellent from driver, tour guide and all the scheduled activities.